Proven Winners. Forms a dwarf, compact, dense clump of glossy, birght green foliage. 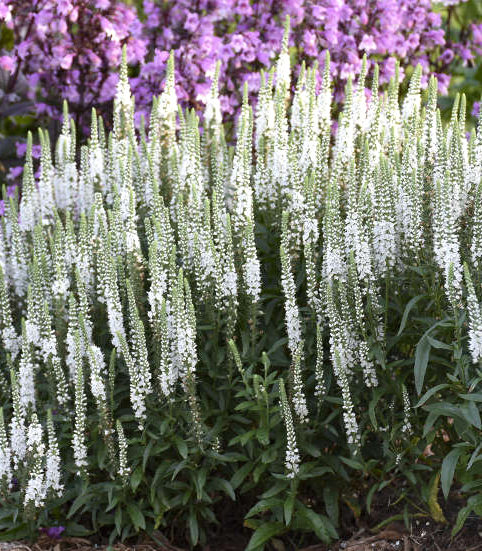 Covered with pure white flower spikes that make up more than half the total plant height. Blooms in early to mid-summer and will rebloom in late summer and early fall. Best grown in average to moist, well-drained soil in full sun to partial shade. Will not tolerate drought conditions. Prune spent flowers in order to maintain a tidy for and also to extend flowering.